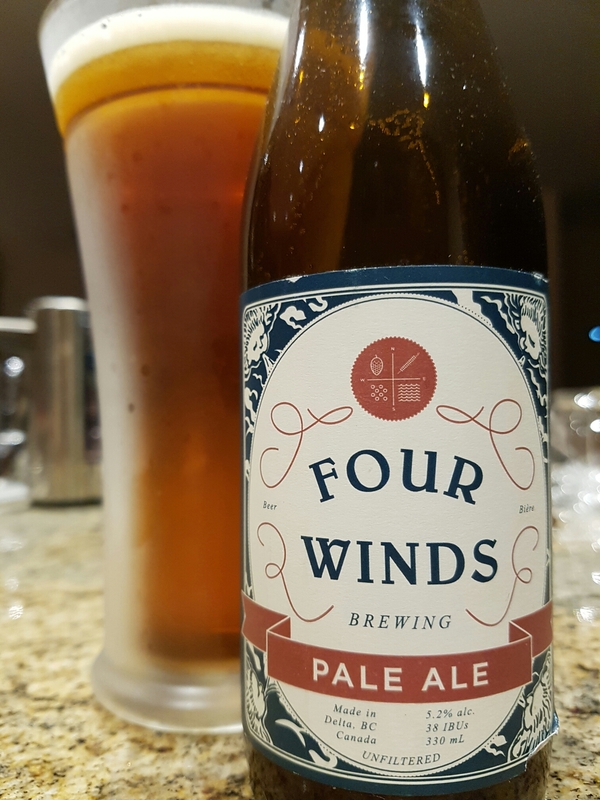 Pale Ale – Four Winds Brewing Co. (Delta, BC, Canada) | Justintoxicated. 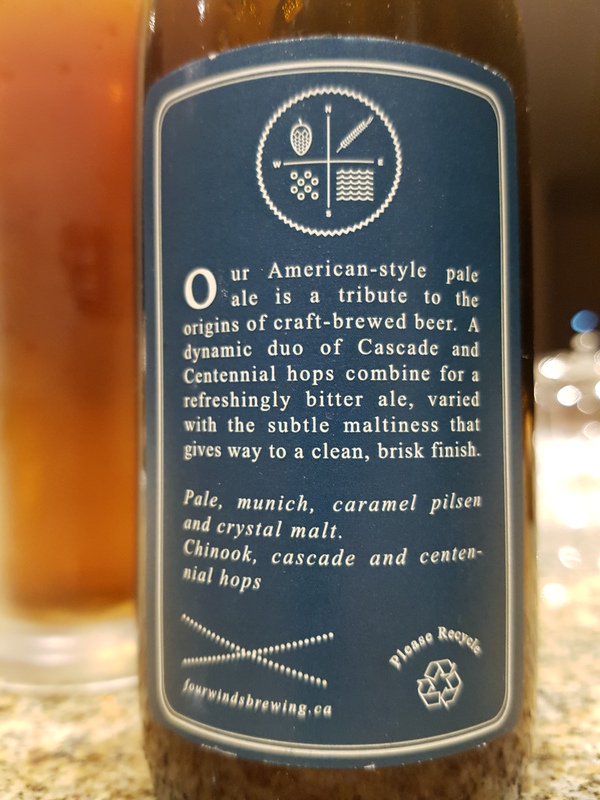 Ingredients: Pale, munich, caramel pilsen and crystal malt. Chinook, cascade and centennial hops. Visual: Pours clear copper brown with a smallish 1cm head, a spotty 1mm layer of retention, clusters of very active streams, sticky lacing. Summary: Pretty decent, good a good balance of hop and barley grain profile. A tad too metallic for my tastes and the hops are on the dull side.